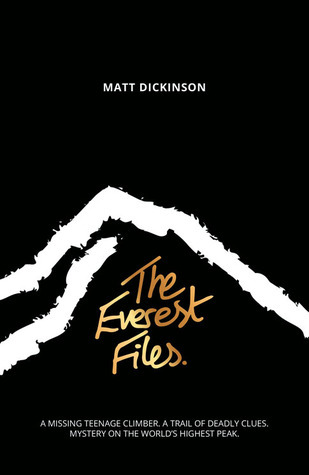 A young adult novel set on the slopes of Mount Everest, that’s not something I come across every day. And that’s exactly why I wanted to read it. Being an avid reader of everything YA, I do find a lot of books sharing the same themes and cliché moments, and for that reason I am always on the lookout for something to take me by surprise, for something completely different to anything I’ve read before. 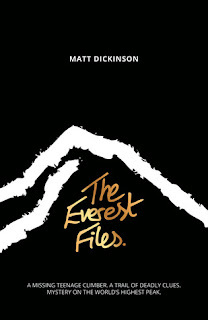 The Everest Files definitely provided me with something new. When I started reading, I was under the impression that this first book in the trilogy would follow Ryan, the character we first meet on his plane journey to volunteer in Nepal, but I was wrong. This is very much Kami’s story, the young Sherpa who gets tangled up in a web of deceit on an Everest expedition that aims to get a high-profile American politician to the summit. Whilst providing medicines to remote locations in Nepal, Ryan meets Shreeya, who tells him about Kami vanishing on the expedition. He promises to search for Kami and return the truth to Shreeya once and for all. When Ryan finally finds who he is looking for after days of difficult journeying, Kami finally gets to tell his story. I absolutely adored learning all about Kami’s trek to Everest, and he was a thoroughly enjoyable character to read about. As he got to know his new team members, so did we, and not all of them were to be trusted or had the right intentions, and it left me on edge throughout each chapter. I also loved the insight it gave into the lives of Sherpas, especially young ones, and how dangerous their work on expeditions can be. The setting for this novel was wonderfully epic from start to finish. Not only are we treated to a rich variety of characters, but we get the chance to learn about the terrain that they work on. It was very interesting to see the responsibilities each individual held on the mountain, and how quickly situations can change. Kami’s journey certainly had a lot of tense and uneasy moments. I loved how the story had the ability to always keep me guessing as to what was going to happen next, and the ending was spectacularly surprising. Now that I’ve learned Kami’s story, I am definitely interested to learn more about Ryan, especially since the ending of the book hinted at him becoming reeled in by the challenge of Everest. I’m highly anticipating another epic mountain adventure. Sounds really interesting. Not sure how I feel about it for myself but it's definitely an interesting story. Nice review!